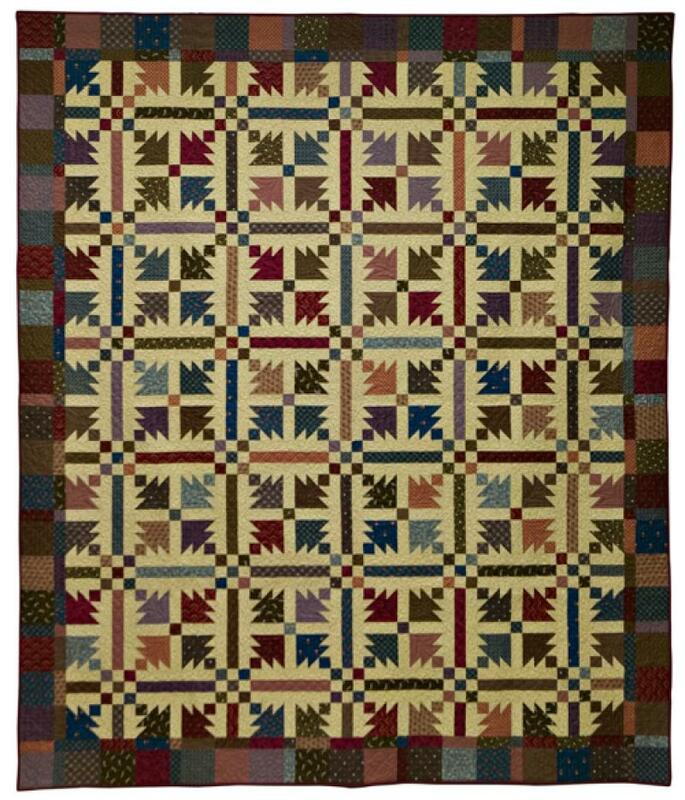 This great scrappy quilt is fun to make and looks really pretty on a bed. You will need 5/8 yard each of 20 assorted Dark prints and 4-3/4 yards of one Background print. Select your Dark prints from 3 or 4 color families, choosing a variety of prints in each color. Some variation in value in your Dark prints will add interest. Also, keep in mind that Dark is relative. Your Dark prints could be pastels or brights! Recommended notions: 1-1/2" half-square triangle paper.